Microsoft is reportedly working on a new folding tablet device codenamed Andromeda. What it is exactly is a little more complicated. Microsoft Andromeda looks like a tablet that works with a stylus pen. But then it gets more complicated as this folds down to make it smaller, like a phablet. Then add in the fact this will be network connected so it can make calls and send messages and its definitions becomes even more complex. 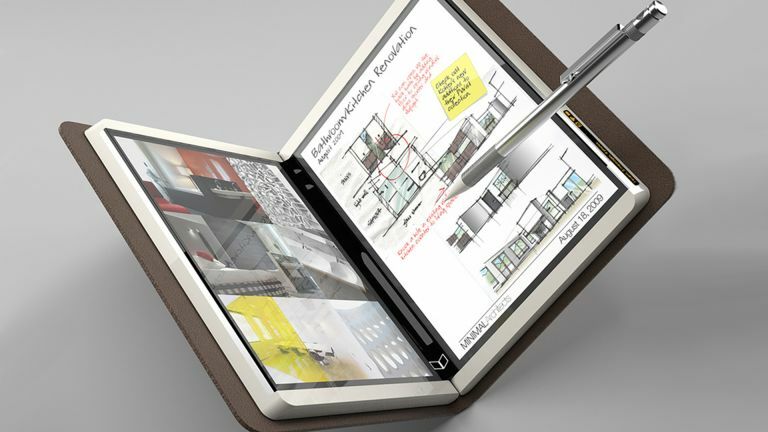 Essentially Microsoft wants to launch a notepad like device that acts as a “digital pocket notebook”, with one prototype opening automatically on OneNote for editing via the stylus with Windows Ink support. The Andromeda device will apparently run the Windows 10 OS complete with Start screen and menu, Edge browser and Photos. All that should be powered by ARM thanks to Snapdragon processors onboard. When Microsoft launches Andromeda it could be aimed at specific use cases like schools and businesses. What it will be called is less clear but names like Surface Note and Surface Journal have been mentioned. While it’s too early to guess a price the release date is likely to happen next year.